Ganesha Chaturthi, a Hindu festival celebrated to pay tribute to the birth of the elephant-headed archetype Ganesha. He is well known to remove obstacles and bring good fortunes. It is also known as Vinayaka Chaturthi. The festival usually takes place for ten days during late August or September depending upon the cycle of the Moon, starting from the 4th day after new Moon period. This year, it starts on September 13. The festival is celebrated by initiating the installation of Ganesha Statues in homes and public spaces. Artists put months to create the statues, which are crafted beautifully and decorated. Once the statue is installed, various rituals are performed to call upon the holy presence into the statue. Pranapratishhta Pooja is one of the rituals performed by reciting mantras to Ganesha's idol. Followed by the ritual, special worship will be performed. There will be offerings to Ganesha, such as coconut, sweets, food, flower, and coins. At the holy places of Ganesha, special proceedings and prayers are organized every day during the festival. On the final day, the statues of Ganesha are taken on a parade in the streets by the people, and at last, they let the statues drown in the ocean or other water bodies. Statues are immersed in the water to get rid of obstacles and dissolve your problems. Also, this ritual is considered as a send-off to Ganesha. 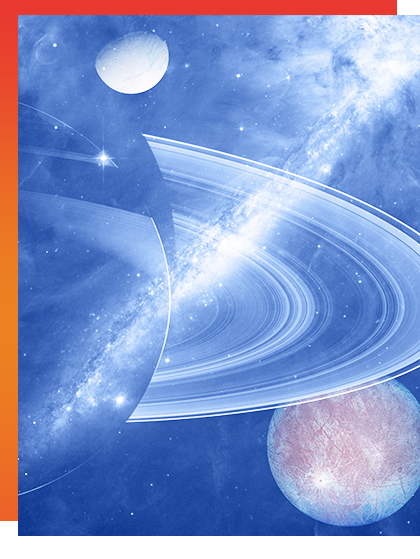 The positions of the planets are very important to determine one's fate. On September 13th, the Moon will be positioned in the sign Libra. The Moon will sharing the sign with two Gurus, Venus and Jupiter. This planetary placement makes the day stronger to worship Ganesha, the lord of intelligence to bless us with knowledge and spontaneity. 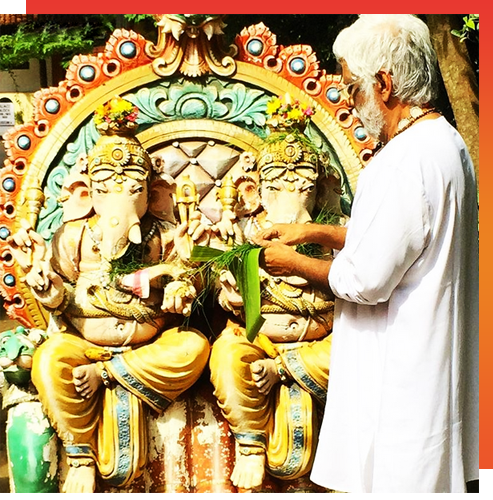 The planetary position helps us to receive Ganesha blessings to overcome your delusion and create self-awareness and progress towards success. People who are facing Sade Sati (71/2 Years of Saturn) can worship Ganesha as he is the one who escaped Saturn's grasp through his wit. Ganesha can give you the strength and strategy to overcome the influence of Sade Sati. People with the Moon signs Libra, Scorpio, Sagittarius, and Aries can worship Ganesha to reduce the malefic influence of Saturn. Clay Ganesha ritual is one of the rituals performed during Ganesha's birthday. 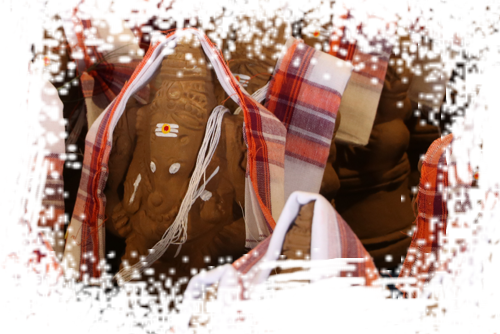 The idol of Ganesha is made using clay, and the priests perform various poojas. The Vedic poojas can bring life to the idol and draw out the negative karma. At the end of Ganesha Chaturthi, clay Ganesha is dissolved in the ocean. This is believed to remove your negative karma. At AstroVed, we perform this ritual on your behalf. You can sponsor a clay Ganesha idol for you and your family. Then, Poojas will be performed by our priests using your name. In a coconut, the hard outer shell represents our physical embodiment, and the spiritual fruit represents psychological elements. The untouched coconut water indicates spiritual energy within. On the whole, the coconut represents your image. Also, the coconut is considered as the element of the divine. Only the coconut has three distinct eyes, which relates to the three eyes of the archetype Shiva. Spiritually, coconut has the tendency to absorb negative energy. 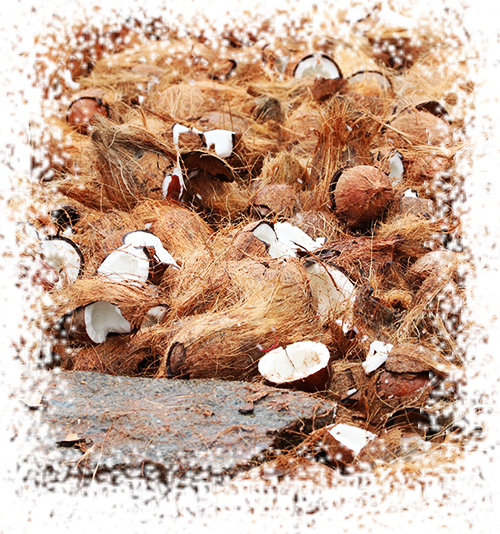 Hence, coconut smashing helps you to remove the negative energy which creates obstacles in your life. At AstroVed, a special ritual for smashing coconuts would be carried out. Coconuts would be smashed on your behalf to remove the obstacles in your path. Find This custom writer uk. Pop Over To This Site custom essay writers. Why Not Try These Out costom writing.